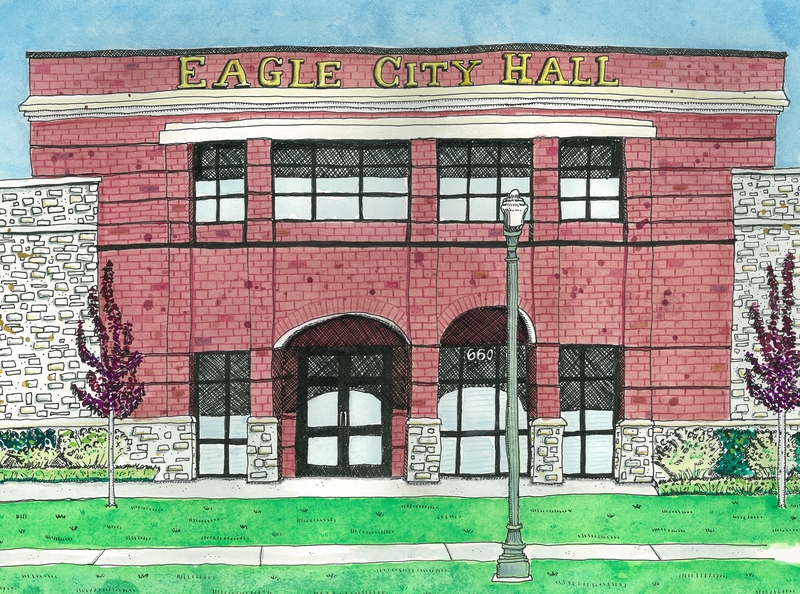 This is Eagle City Hall in Eagle, Idaho. You can tell this by the big gold letters on the building. So I studied and drew this building and found out after I was finished that this is actually the back door of city hall and there is a whole ‘nother front side to it…No wonder nobody ever went in or came out of this place while I was drawing it. They all used the front door…weird.